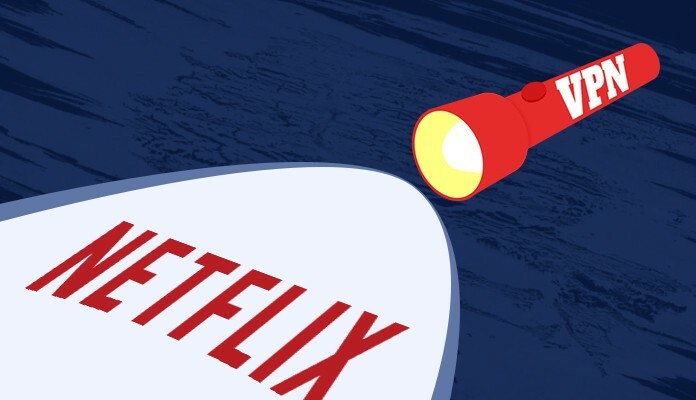 Choose the best Netflix VPN to watch shows without any limitations! While VPN provides an unmatched level of freedom regarding browsing and accessing blocked websites, there are other benefits that you may find useful. Why do you even need a Netflix VPN? Netflix is a big deal. Recently, the brand created so much content that most of the new media produced in general is largely available on Netflix. Marvel’s Daredevil, The Defenders, Jessica Jones, and recently moved to the service Lucifer are all excellent examples of high-quality content. Sadly, in some regions Netflix is unavailable. Even if you purchase a subscription, you won’t be able to use the service. This is why many people who love good television buy a VPN for Netflix. It is a great way to watch region-locked content. You need to pay close attention to several aspects of a service that you consider suitable. While some companies focus on providing improved options for torrent downloading (optimized P2P), others may be interested in better safety and security. What are some parameters that you must think of when choosing the best VPN service for Netflix? Speed (bandwidth). You will need at least 10-15 Mbps to enjoy high-quality video streaming. Some servers are capable of providing 1.5—2 Gbps which is more than enough for simultaneous binge-watching and downloading huge files via torrent. Traffic. A good VPN for accessing Netflix will give you unlimited traffic. There are some providers that either significantly reduce the bandwidth when you reach a specific amount of data transferred or limit the traffic altogether. Most free VPNs will do that. For example, TunnelBear gives out 500Mb of traffic per month to free users. Servers. Netflix VPN must have numerous servers in countries from where you want to access TV shows and movies. Netflix is available in many languages. Portuguese content/shows can be viewed from Brazil. The company also offers subscriptions on special terms to users from UK, Germany, and other European countries. Multiple VPN servers in these countries will give you more freedom. Take a closer look at additional features offered by the service. 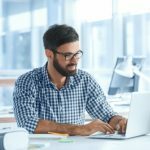 If a VPN service gives you opportunities to connect several devices, it is an excellent option to consider. You may want to watch some shows on your mobile device or two devices simultaneously. While the market is oversaturated with offers, some providers have reasonable plans that you may find interesting. There are several key companies that you should check out. They offer some of the best VPNs for Netflix. ExpressVPN. Outstanding customer support, exceptional security, and 30 days of free use. These advantages will most certainly benefit you. NordVPN. The biggest network of servers that reside in more than 100 countries. An excellent choice for any internet activities. IPVanish is a cheap provider that offers 1000 server locations and up to 10 simultaneously connected devices. HotSpot Shield. An excellent choice for people who want to use a free VPN to watch Netflix content. 45-days money-back rules! Many VPN Netflix users choose providers based on multiple factors. This is why we want to talk about each of the brands a little bit more. The service stands out with its 256-bit AES encryption, protection from leaks, and so-called split-tunneling which is excellent if you want to access several networks at once. Their applications work on any OS including MAC OS, iOS, Windows, and Linux. You can use routers to connect the whole home network to offshore servers. Unlimited bandwidth and traffic allow for uninterrupted binge watching which is why you want Netflix in the first place. Complete anonymity and 30-days money-back guarantees make this service especially attractive. For $12 per month, you will get all those benefits and more. This brand is voted #1 amongst VPN providers by both users and professionals. If you want to watch Netflix with VPN for nearly free, the most recent promotion from NordVPN will make you happy. You can get two years of service for $95.75 which translates to only $3.99 per month. It is a great deal if you plan using Netflix for a long time. With over 4600 locations all around the world, this brand offers a premium level of service. You can choose any country to view content. When you have nearly 5000 options, you can always find something suitable. Connections to some servers may be unstable. Sadly, the quality of connection you need to check personally. A cool, unique thing about NordVPN is that you can pay with BTC or ETH. The company readily accepts cryptocurrencies. If you don’t like the service, you can cancel it without any hassles. Live chat support and unlimited bandwidth make this service exceptionally appealing to Netflix users. Another provider with a massive amount of servers around the globe. If you are looking for the best VPN Netflix, consider paying for thousands of servers. IPVanish has over 1000 server locations spread all over the world. Choose any country and any city. Prices here are relatively low. Only $10 per month when paying monthly and $6.49 per month when paying for a whole year upfront. Amongst all VPNs for Netflix, this provider stands out due to a vast number of servers, support of 10 simultaneously connected devices, and other cool nuances. The greatest thing here is that you can have a 45-days money-back guarantee. It means that you can use the service for 45 days for free. For some people, this period of time is more than enough to access specific content, binge-watch it, and forget about it altogether. If you are one of such people, you will love this service. The service offers 2500 servers sprinkled around the planet. The number of countries is relatively low. You will have access to 25 countries including the US, UK, and Germany. For the vast majority of users, it is more than enough to watch Netflix shows. $15.99 for a month and $3.99 per month if you pay for a year upfront.